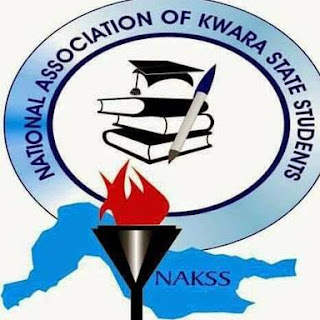 The National Association of Kwara State Students, National headquarters have given the management of Kwara State University the ultimatum of 24 hours to decleared the just concluded student union election Null and Void due to some reasons outlined in the press released. NATIONAL ASSOCIATION OF KWARA STATE STUDENTS, NATIONAL HEADQUATERS (NAKSS) GIVES KWASU MANAGEMENT 48HOURS ULTIMATUM TO PRODUCE REPORTS OF THE JUST CONCLUDED STUDENT UNION ELECTION, DECLARES THE ELECTION NULL AND VOID OR FACE TOTAL SHUT DOWN! 1. Produce a very valid and worthy reason(s) for the screening out of one of the two presidential Aspirants, Abdulbasit AbdulRahman of the department of Medical Laboratory Science MLS on election day. 2. submit a detailed reports of the just concluded election. 3. investigate the alleged involvement of the Dean, Student Affairs Unit, Dr. Abubakar Alaro, and some external bodies in the Election process. 4. Or if not able to provide any of above, declares the election null and void and a fresh election should be conducted within 15days, with every aspirants given equal rights to contest. It is very pertinent to note that we are well abreast-with evidence- of what transpired on the election day which prompted the screening out of Abdulbasit AbdulRahman, thereby imposing a President on the student and denying them their fundamental rights of voting and being voted for. Failure to heed to above stipulated condition within the next 48-hour would warrant the National Headquaters of the National Association of Kwara State Students (Both the Senate and Executives Council) to move our secretariats to Malete campus of Kwara State University and the school should be ready to accommodate 10,000 students, which we fear may bring an avoidable standstill to the school.